Pavel Bains is the CEO of Bluzelle Networks, which builds blockchain and distributed ledger solutions for the finance industry. The last time we spoke was on episode 426 in January after successfully closing a $19.5m ICO. After hearing about the launch of its decentralized database testnet and how they have attracted over 1000 developers, 30+ blockchain integrations including Qtum, Icon & Wanchain as well as a JD.com collaboration, Chinese e-commerce giant that is the third biggest tech company in the world by revenue, I felt a catchup chat was long overdue. 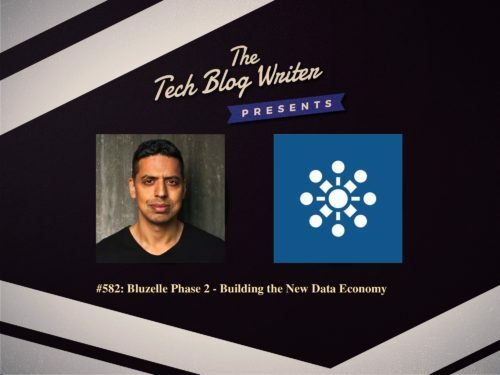 A new data economy is emerging and Bluzelle is at the forefront of helping businesses and individuals to fully control and monetize their data in this revolutionary new world. The number of decentralized projects and App developers that are using the ecosystem right now is testament to this. – Pavel Bains, CEO of Bluzelle. Everyone thinks of Facebook, Instagram, Google and Twitter as free but they are not. We are paying with our personal data but recent headlines show how companies are monetizing, manipulating and mishandling our data. For blockchain projects and decentralized developers that want to change this, Bluzelle is shifting the power and control back to individuals and businesses, who are the rightful owners of the data. Bluzelle has already started building a “new data economy”, which has the Bluzelle decentralized database at its core. This manages and stores data across a network of nodes around the world, enabling a level of security, reliability, and scalability that the major cloud providers can’t match.